SIIMA Awards 2016 Malayalam Nominees, Winners List: It is Fifth edition of South Indian International Movie Awards (SIIMA 2016 or 5th SIIMA). The function will schedule on two days at Singapore on June 30th and July 1st, 2016. This 5th SIMMA Awards function will be held at the place of Suntec Singapore Convention & Exhibition Center, Singapore. The First day (June 30th, 2016) for the Tollywood and Sandalwood, that mean; the day for Telugu and Kannada film industries. The Second day (July 1st, 2016) for the Kollywood and Mollywood, which is the day for Tamil and Malayalam film Industries. The show time of SIIMA 2016 will be started from 7 PM onwards. 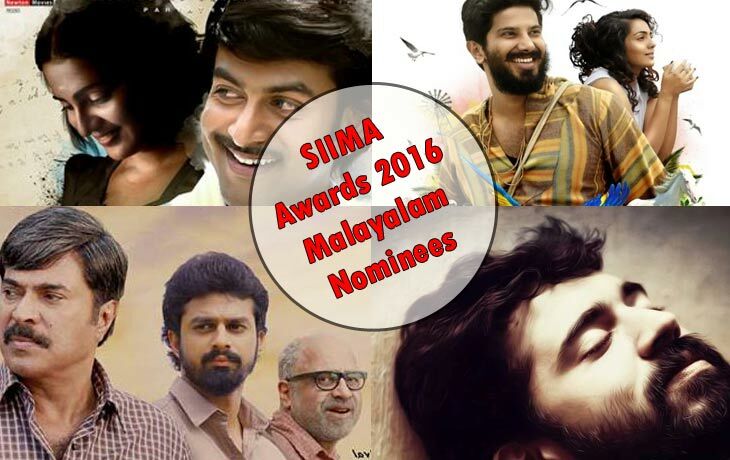 Here, we shared the SIIMA 2016 Malayalam Nominees and winners list. As per the SIIMA 2016 report, the film “Ennu Ninte Moideen” has been nominated for 10 SIIMA title categories. And 2015th highly talkable film in South India, Nivin Pauly’s Premam also nominated for Nine Categories with 14 name lists. This film itself got three nominations for the Best Debutant Female category. The Thriller Romance film of 2015 December, “Charlie” nominated for six categories. The Prithviraj and Mammootty’s “Anarkali and Pathemari” selected for the four nominations. Scroll down and check the Complete list of 5th SIIMA Awards 2016 Winners, Nominations, and Full Show Update. Best Actress – Nayanthara for “Bhaskar The Rascal. Stay tuned for more updates about the SIIMA Awards 2016 Malayalam TV Telecast and channel list.